Whether or not they are authentic, they are for sale. Art dealer David Killen has one of the less-blue-chip jobs in Chelsea. Every month, he buys hundreds of kitschy knickknacks, art prints, and antiques to sell at his eponymous auction house, David Killen Gallery. So after hearing about (and having a cursory look at) a storage locker in New Jersey filled with 200 works of art, he offered to take it all for $15,000. Then the delivery arrived: There was a tube labeled WARHOL (none were inside). Three boxes were labeled DE KOONING and yielded six paintings on paper, some stuck together. And they were tantalizing: the gestural sweeps of oil, the yellowed newsprint underneath, the stalled state between a sketch and a perfectly realized composition. Killen looked up Lawrence Castagna, a former assistant to Willem de Kooning, and, it turned out, to the art restorer Orrin Riley, who founded the Guggenheim’s conservation department and died in 1986. Castagna thought that the paintings might have been in Riley’s restoration studio. When he saw the paintings, he “stopped dead in his tracks and stared,” Killen recalls. “And he’s like, ‘Oh my God, where did you get these?’ ” Sometimes works languished in the restoration studio after the insurance companies that had paid claims on the damaged works decided it wasn’t worth the cost to fix them. As implausible as that sounds, given the current price of de Koonings, Killen speculates that that’s how these ended up in storage. Killen offered the works to Sotheby’s, but the provenance issues scared it off. The de Kooning Foundation does not authenticate works, and the university professor Killen consulted who considered them legitimate asked to remain anonymous. Killen is auctioning them himself. Given all the caveats, he’s not sure how much they might go for: $10,000? $10 million? 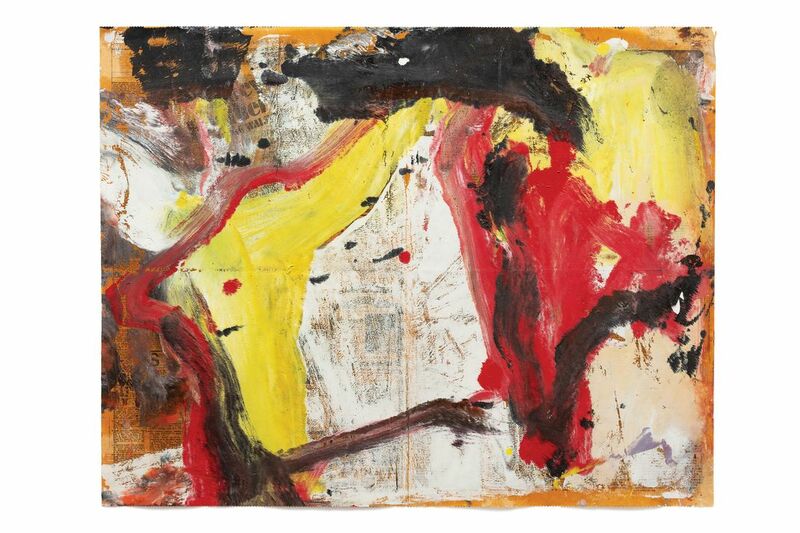 Willem de Kooning auction will be held at David Killen Gallery on October 14, November 11, and December 9.